One complete hat and most of a face. Then I had to stop to hang up wash and cook supper. Tomorrow, the rest of the face and the beard, at least. 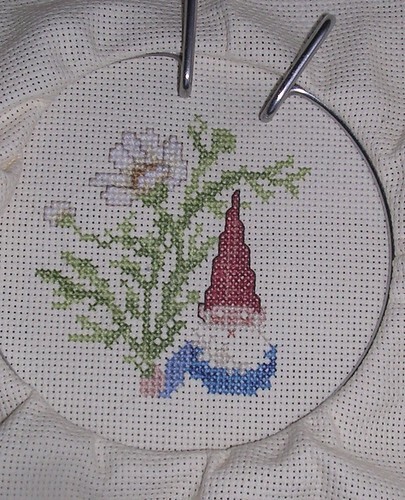 Then, think I have to reposition the hoop so I can finish the bottom.